The purpose of this thread is to compile all changes going from HotS to LotV, which are relevant to the multiplayer of Starcraft 2. This is NOT a thread for discussing balance concerns. Please let me know if anything is missing! Accept your fate, cheeky Widow Mine! On that note, the maximum suggested worker count on mineral fields has been reduced from 3 per Mineral Field (max saturation) to 2 per Mineral Field (efficient saturation). Does not change the actual mining behavior of workers. Added mini-map icons for possible enemy spawn locations at the start of the game. New tilesets and updated old. Creep animation updated, and tilesets can now be seen partially through the creep. Game speed changes: The default game speed 'Faster' is now 1 to 1 with real time. Thus a game that lasted 12 in-game minutes now lasted 12 actual minutes instead of 12 / 1.4 ~= 8 minutes and 34 seconds. Consequently all unit movement speeds, rate of fire, build times and ability cooldowns have their numbers changed. For example a 110 second upgrade will now state 110 / 1.4 ~= 79 seconds in the tooltip, and have had its actual research time rounded to this number. Note that it still takes almost exactly the same time to finish such an upgrade because the in-game time is going proportionally slower. Blizzard have in their patch notes for LotV updates mostly used the HotS timers, and so when stating times like cooldowns below, I will use the HotS timers aswell. Improved reliability when controlling multiple air units. Increased consistency in behavior of Attack Move for several units. Starting worker count increased from 6 to 12. All races have had the supply contribution of their town hall structures increased. Mineral count on 4 of 8 Mineral Fields per base decreased from 1500 to 900. The reduced Mineral Fields usually seems to be the 4 patches furthest away, but I can't confirm this. Gas count on Gas Geysers decreased from 2500 to 2000. Ranged damage dealer. Uses lock-on missiles to deal high single target damage to an air or ground target. Costs 150 minerals, 150 gas, 45 seconds and 3 supply. Requires tech lab on Factory to build. 18(+2) damage, range 5, Weapon speed: 1. Locks the Cyclones weapons on the target unit dealing 400 damage over 20 seconds. Cancels if target goes out of range, or if vision to the target is broken. Cast range: 7. Leash range: 15. Cooldown: ~6 seconds. Auto-cast by default - will activate on Attack Moves placed on ground. Researched at the Tech Lab. Costs 100 minerals, 100 gas, 110 seconds. Large Air-to-Air fighter. Deals splash damage. Can Transform into 'Defender Mode' becoming stationary and dealing high single target damage in designated area. Costs 150 minerals, 150 gas, 60 seconds and 3 supply. Built from Starport. No addon required. Select a zone of attack within 5 range of the liberator. 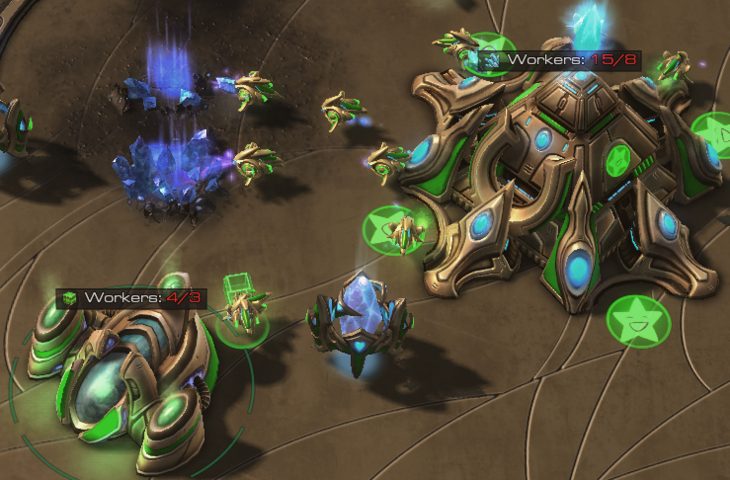 Liberator can attack ground units in a radius 5 around the designated area. While deployed, the Liberator's sight radius is increased from 10 to 13. Increases the range at which Defender Mode can be deployed by 4. Researched at the Tech Lab. Requires Fusion Core. Costs 150 Minerals, 150 Gas and 110 seconds. Knockback does not affect Massive units and of course structures. Damage does however. Now attacks twice for half the damage. Movement speed increased from 2.25 to 2.81 (same as worker). Deals 170 damage to a biological unit after channeling for 2 seconds. Channeling is interrupted if the Ghost is takes damage or loses sight of its target. Loading Siege Tanks in Siege Mode takes up the full load capacity of the Medivac. After being unloaded in Siege Mode, the Siege Tank will delay 2 seconds before firing. Turret tracking added: Siege Tanks in Tank Mode will now track the nearest enemy unit while on the move. Javelin Missile Launchers (Anti-Light splash damage) is now the only AA of the Thor. Caduceus Reactor upgrade removed. It's the energy upgrade. Increases Ignite Afterburners duration by 50%. Increases movement speed of Banshees to from 2.75 to 3.75. Research costs: 200 minerals, 200 gas and 130 seconds. Movement speed increased from 2.25 to 2.75 (same as Viking). Damage increased to 16 from 8. Duration decreased to 10 seconds from 160 seconds. Seeker Missile cost increased to 125 energy from 75. Reseached at the Tech Lab. Reseach costs: 150 minerals, 150 gas and 110 seconds. After a short delay, warps to the target location. Battlecruiser is invulnerable while warping. Vehicle and Ship Weapons separated. Costs for both remains the same as the merged upgrade. The undisturbed return of a single MULE has consequently gone from 270 minerals total down to 225 minerals total. Costs 25 minerals, 75 gas, ~13 seconds and 1 supply to morph. Requires Roach Warren to morph. 16(+2) damage, 6 range, ~1.6 weapon speed. No Rapid Regeneration while burrowed. Does not benefit from Glial Reconstitution or Tunneling Claws. Mortar-style area of effect skill-shot which impacts after ~3 seconds once fired. The impact strikes both air and ground units, destroying any Force Fields it comes in contact with. Costs 50 minerals, 100 gas, ~25 seconds and 1 supply to morph. Requires Lurker Den, mutated from Hydralisk Den for 150 minerals, 150 gas and 120 seconds. 20(+2) (+10(+3) vs Armored) damage, 9 range, Weapon Speed: 2. 200 HP, 1 Armor, Tags: Armored - Biological. Movement speed: 2.95 (same as Stalker / Baneling with Centrifugal Hooks off of Creep). Overlords can now evolve Ventral Sacs individually. Costs: 25 minerals, 25 gas and 17 seconds. Requires Evolution Chamber. During evolution the Overlord is stationed inside a cocoon, just like if it had been morphing. Overlords who have evolved Ventral Sacs are identical to Overlords previously with the Ventral Sacs upgrade, and can morph into Overseers. Now also increases burrow move speed from 1.4 to ~2.25. This effect multiplies with creep speed bonus. Grooved Spines removed, +1 range added to Muscular Augments. Channeled ability that initially deals 5 damage per second to target structure. Damage is increased to 25 damage per second after 6 seconds. Cost changed from 100 Minerals, 200 Gas, 4 Supply to 200 Minerals, 100 Gas, 3 Supply. Flying Locusts no longer require research. Cast range increased from 7 to 9. Latch onto an air unit, dealing 90 damage over ~10 seconds to that unit and any air units around it. Effect persists for the remaining duration if the target is destroyed. Chitinous Plating: Bonus armor increased from +2 to +4. Can be queued multiple times upon the same town hall (Hatchery, Lair & Hive). For example, if Spawn Larvae was cast 2 times in quick succession on the same idle Hatchery, that Hatchery would begin incubating 3 eggs, followed by an additional 3 eggs before going idle again. Note that energy is still spend at the time of the cast, so this system can be compared to queuing for the other races. Creep now spreads faster and recedes twice as fast. Damage decreased from 15(+45 vs. Biological) to 15(+30 vs. Biological). 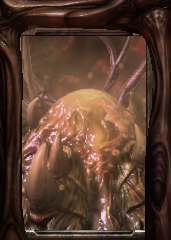 Zerg Buildings now have their very own portrait! Costs 100 minerals, 25 gas, 38 seconds and 2 supply to warp in. Warp Gate cooldown: 28 seconds. Requires Cybernetics Core to warp in. 80 HP, 70 Shields, 1 armor, Tags: Light - Biological. Movement speed: 2.5 (Right between Zealot and Zealot with speed upgrade). Projects an invulnerable Psionic Image that can move but not attack. After ~10 seconds, the Adept teleports to the image’s location. Effect can be cancelled, but not activated prematurely. Researched at the Twillight Council. Costs 100 minerals, 100 gas and 140 seconds. Uses Purification Novas to deal heavy area of effect damage. Warped in at the Robotics Facility. Costs 150 minerals, 150 gas, 50 seconds and 3 supply to warp in. Requires Robotics Bay to warp in. Once activated, the Disruptor becomes immobile and shoots out a ball of energy that can be controlled. After ~3 seconds emits a nova dealing 145 (+ 55 shields) to all ground units in a 1.5 radius. If the Disruptor is destroyed or picked up by a Warp Prism before the energy ball detonates, it will fail to explode. Can friendly fire, but not on self or fellow Disruptors. Charge now deals 8 damage on hit. Time Warp maximum radius increased from 3.5 to 8. The Time Warp will now appear small at first and grow over time, and will not slow units until reaching maximum size. Mass Recall cost reduced from 100 energy to 50 energy. Energy cost reduced from 100 to 25 energy. Now targets Pylons instead of Nexi. Range reduced from 13 to 7 and duration from 60 seconds to 30 seconds. Damage increased from 20 to 30. Movement speed increased from 1.41 to 1.88. Range reduced from 13 to 7 and duration from 60 seconds to 15 seconds. Pick up range has been increased to 7. Immortal gains a 200 damage shield for 3 seconds. Auto-cast by default. Activated upon taking damage. Damage from first hit before activation will still be taken. 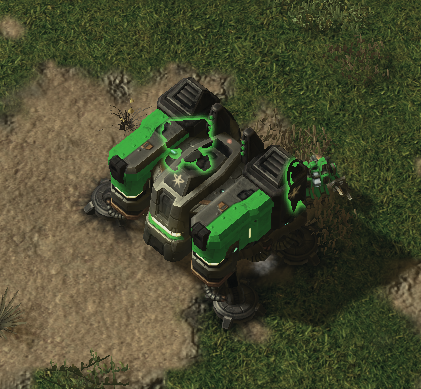 Turret tracking added: Immortals will now track the nearest enemy unit while on the move. Base damage reduced from 15(+2) to 12(+1). 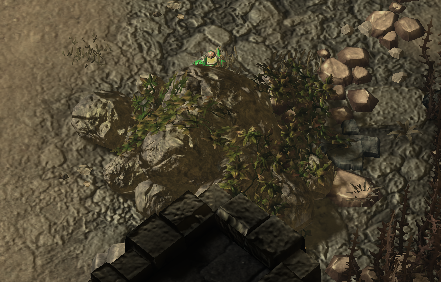 Revalation now tags cloaked and burrowed units, revealing them for 60 seconds. Cost reduced to 50 energy from 75 energy. Cast range increased from 9 to 12. Constructs a cloaked trap on target location. When triggered, enemy units in proximity are trapped in statis for 30 seconds, rendering them unable to take commands but also invulnerable. Statis Wards remain in play until triggered or destroyed. Launches Interceptors to fight at target area for 60 seconds. Interceptors are destroyed when duration ends. Interceptors will remain for the full 60 seconds, even if the Carrier is destroyed. Can be cast while Interceptors are out in the field or docked in the Carrier. If docked in the Carrier, all Interceptors will be released near simultaneously, making it much faster than a Carrier using Graviton Catapult. Warping in units at a Pylon that is near a Warp Gate or a Nexus will take 5 seconds. Warping in units at a Warp Prism will also take 5 seconds. Haven't confirmed this, but the rule seems to be: "If a Pylon can power a Warp Gate, the Warp Gate can 'power' the Pylon.". Keep in mind, WARPgates give this effect, GATEways do not. Bug(? ): Nexi do not need to be finished to 'power' the Pylon. Is now permanently channeled onto a target. By default targeted on the Nexus when created. Can be retargeted onto other buildings. Cooldown: ~6 seconds. No retargeting delay: Effect is removed from previous target and applied to the new target instantly. If multiple Nexi are selected, the closest Nexus seems to be the caster. Keep in mind that other Nexi can take over if the closest one has retargeted within ~6 seconds. Only a single Chrono Boost from a Nexus can be active on any building at any time. Nice! This was much needed. Sweet :D Thanks for the effort. I had no idea about the new Medivac upgrade lol, it sounds really bad. Sick! Thank you very much for this. Warp-in duration increased by ~40%. Removed bonus damage against Massive units. Deals 550 damage over 80 seconds to target unit. For the sake of completeness, Tempest is now ground-only. And I thought they buffed its speed but I'm not sure. Tracking down all the different changes was such a pain before this. Thanks a lot. This was very needed. It's spelled LOSE not LOOSE. Still shooting air as of today. There is one more you missed out, at the beginning of the game, the map will have red ping on the opponent spawning locations. Ah, my bad. Thanks for heads-up! As Morbidius said, it's still shooting air. Haven't tested Disintegration though, but the spotlight Blizzard made showed Brood Lords getting Disintegrated, so I didn't think it necessary to test. Thanks! Had completely forgotten about that one. Wow, thanks very much. I was looking cluelessly for this on Liquidpedia before without success. With new patch almost everyweek it's really easy to forgot "older" changes. I cannot start LOTV right now. > damage Javelin Missile Launchers being its only AA. 250mm Strike Cannons has been removed and I don't think it's back in LOTV, right? What is with "Explosive Payload"? 250mm Strike Cannons aren't back in LotV, clarifying statement. Explosive Payload was also removed, but can only be accessed in High Impact Payload.. which cannot be accessed. Figured it would be more easily understood if I didn't mention that Explosive Payload was also removed, but on second thought I'm not so sure. Cyclones have 160 hp now, that nerf wasn't listed in the patch notes. Also, DKim mentioned in one of the community updates that they were changing the range to 7/15. I noticed two changes while playing. 3rd September update to macro mechanics and other things added as well. About the Banshee Hyperflight Rotors, they seem to require Fusion Core at the moment. Testing through custom games in the beta. Maybe they re-added the requirement..? Missing change: Colosus upgrade scaling is different in LotV. Colosus now gets only +1 attack for each attack upgrade. Please update: Ravager range upgrade is removed in last patch. Spawn larva: Replace "Town Hall" with "Hatchery". You can also mention that queuing spawn larva instantly uses queen's energy, so queen should have enough energy to queue the inject. Adept: no more shield upgrade, instead attack speed upgrade and they also changed amount of shields I think. Ghost speed was increased to 2.813. 'Town Hall' is a wonderful word and this is a chance for me to use it, so I wont be replacing it with Hatchery, as it also encompasses Lairs and Hives (and unintentionally Command Center and Nexi gathered by means of Neural Parasite or team players). About the scaling on Colossus, added how the new unit scales with attack as well. Thanks again for mentioning it! I feel that we need to have the Liquipedia pages of all the old units given LotV versions, so that they can be updated to show their new real-time clocked speeds, production times, and cooldowns. I don't think that change will be reverted, so we might as well start recording the information. Not sure what exactly you mean, Pontius. Do you mean creating legacy of the void pages for every unit with adjusted values or adjusting existing pages for once LotV comes out? WoL and HotS game speed is 1.4 times faster than LotV speed and some rounding to the closest integer, 1st- or 2nd decimal, so all the data is there except for the amount of rounding for specific things. Should be 5 seconds now to warp in. Thanks for the post though. Quite scary how little existing units actually have been mentioned. Think about what the basic framework was: WOL was designed based on people like Dustin Browder thinking 8 minute games and Forcefields were superfun. In my opinion we should be seeing 500-1000 stat changes for each new expansion. Otherwise you are simply not going to fix the underlying issues. Whoa, I didn't even know that that medivac upgrade existed. That's awesome. Be realistic, Blizzard is never going to do that. That would be work. Tumors are not structures, u dont need to kill them to eliminate your adversary. Liberators can hit tumors? This would answer the question. I don't know, maybe. But I also think Blizzard has some type of irrational minimialistic approach where they try to get the most done with the fewest amount of changes. On the other hand, I don't think the amount of changes is relevant at all. What matters for the learning curve is how difficult it is to play the game and not get majorly screwed. 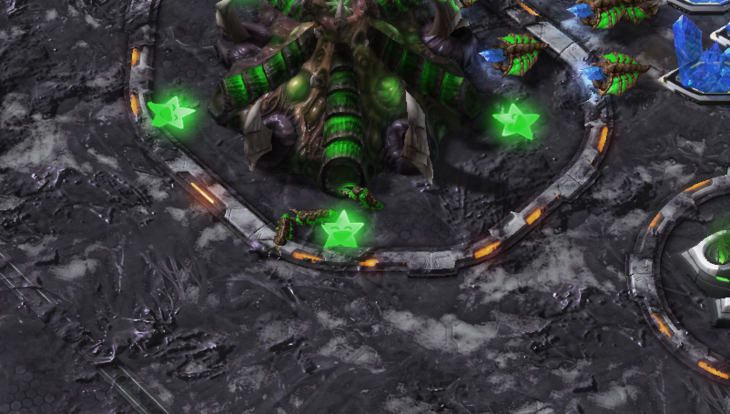 For instance the strenght of the Nydus all-in adds a ton extra to the learning curve. 1000 stat changes? I'm not even sure if the game has that many stats. I mean, I get where you're coming from, but look at that list. It's still quite massive. Well if you redesign one unit that alone is typically 10-15 variables you will change.And that will typically require changes to a couple of other units for balance and interaction-purposes. So one proper redeisng = 50 stat changes (general rule). The issue is that Blizzard just throws down a new unit/ability without adjusting the rest of the game so that proper roles and microinteractions are implemented. You can also just look Riots changelist in their redesign. One champion redesign is alone like 50-60 changes. k let me be more clear. i threw a grenade at a hatchery and it did damage. does that mean it does damage to structureS? Isn't there a Spore Crawler bonus damage reduction? It was changed to 4 seconds for warp prisms and fast pylons. Liberator defender mode no longer requires upgrade (so should probably remove "Requires Defender Mode upgrade" to be clear). And yeah, like a few others have mentioned, should remove the 2s warpin line from Warp Prism. It already correctly says 5s further down in the warp gate section. Thanks for the synthesized notes! Isn't the Ghost's new ability also canceld by loss of vision on Target ? This is excellent, thank you for doing this. One minor correction - you rightly point out that inject now spawn 3 rather than 4 larva, but your explanation about queuing then mentions 4 larva. The list is missing Swarm Host changes. I know the cost is different in LotV. Not sure if anything else is different. Meh the Thor-Non-Splash was a cool move vs PDD . Dumb down everything and flood new dumb units. Did the remove the +bio damage on spore colonies? didnt get the mule get back to hots? The amount of expectionson units is just getting silly though. Warp gate warps work in 5 seconds except if it meets some weird condition. Liberator is a flying valkyrie/siege tank that can hit hard on a certain spot, but just not buildings (because.. no real reason, it just cant be balanced). Weird invulnerability modes on Battlecruiser and Nydus. Ravager gets Rapid Regeneration, just not while burrowed. It's like idea's get thrown into the game that actually don't work, but are put in anyway. I'll throw in a quote from Einstein here. What about Swarm Host changes? And then we sit there and wonder why new players find the game hard to play and confusing to watch. So they talked about changing the economy but this change doesnt seem too different. Will more bases finally be needed ? Automated Tournaments are going to bring a lot of players. I think people'd be able to focus on improving skills, and then test them at the tournaments. One teaspoon of stomach acid would melt your hand. Larvae description was fixed from 4 eggs to 3. Thanks Haighstrom! Spore Crawler bonus damage reduction was made [link]. I've probably just forgotten about it. Couldn't find any patch notes saying it was reverted, so I'll just have to check on Tuesday (HYPE!). Thanks Stilgar, Cascade and Big J! Warp Prism does indeed take 5 secs for warp in. Sorry about that oversight guys. Thanks Izurgery and others for pointing that out! The description probably wasn't clear enough; they do indeed damage buildings. What I meant to say is that their knockback does not affect buildings and massive units. Would be hilarious to juggle around with Nexi though. Thanks for the sharp eyes, moofang! I actually didn't test this, but I'll put my faith in that you've done tests for it, so I've added it to the description It couldn't be that you're thinking of Lock-On on the Cyclone? Yup, as far as I know some changes were made to the cost of SHs. But these changes were also made to the HotS SH.. I think. In any case I'll probably test it on Tuesday (MORE HYPE!). Did the ultralisk model size get smaller? Or did it just look that way because the camera was zoomed out during the boxer/mvp vs yellow/nestea showmatch? It's a little nerfed. Shorter duration. Turn physics to max, then look at Queens and Hydras being liberated; Then you'll know. Incorrect. A MULE is still 90 HotS seconds, but the game time was changed to reflect actual time, so 1 second in-game is an actual second. The ratio between the two is 1.4, and thus it'll say that a MULE now lasts 90/1.4 =~ 64 seconds. What they nerfed was the return rate, so instead of returning 30 minerals per trip, a MULE returns 25 minerals per trip. Do anyone know anything about the network code in LotV? I saw when I started the game this morning that Ctrl+Alt+F now gives information on which server you're supposedly connected to "Site: AM1 (Central Europe)". Has the netcode for Starcraft 2 changed? The Swarm Host was changed in cost. Gone from 100 minerals, 200 gas, 4 supply to 200 minerals, 100 gas and 3 supply. One question: how does the statis ward get deployed? Energy? Cool down like blink? "Allied Commanders" was changed into "Legacy of the Void Features: Co-op Missions"
Please change it in "General", thanks! Thanks for the list, Existor! The graphic showing if a pylon will power a structure seems to be campaign only. Didn't appear when I tested in the multiplayer. Glad to know that this has been helpful! I corrected it, and added some structure to General. Thanks! It could be interesting if you can keep up this list, but split up the changes post release in a separate lost below. Then we can see both changes from hots and then post release lotv. Could be an interesting piece of history in a few years. Solved my issues figuring out which inject made it to release. Thanks a million! "Lock On now deals 400 damage over 20 seconds against both ground and air." "Locks the Cyclone's weapons on the target unit, dealing 400 damage over 14 seconds to ground targets, and 400 damage over 14 seconds to flying targets. Can move while firing. Cancels if target moves out of range." "Locks the Cyclone's weapons on the target unit, dealing <d ref="Effect,LockOnCP,PeriodCount*Effect,CycloneWeaponDamage,Amount"/> damage over <d ref="Effect,LockOnCP,PeriodCount * Effect,LockOnCP,PeriodicPeriodArray"/> seconds to ground targets, and <d ref="Effect,LockOnAirCP,PeriodCount*Effect,CycloneAirWeaponDamage,Amount"/> damage over <d ref="Effect,LockOnAirCP,PeriodCount * Effect,LockOnAirCP,PeriodicPeriodArray"/> seconds to flying targets. Can move while firing. Cancels if target moves out of range. PeriodCount = 20, so I guess it's 20, since the XML tells us so. When I look over the total Terran changes compared to the Zerg ones I get really sad. Half of the Terran stuff are nerfs, most other changes are pretty useless and will probably never be used at a high level. 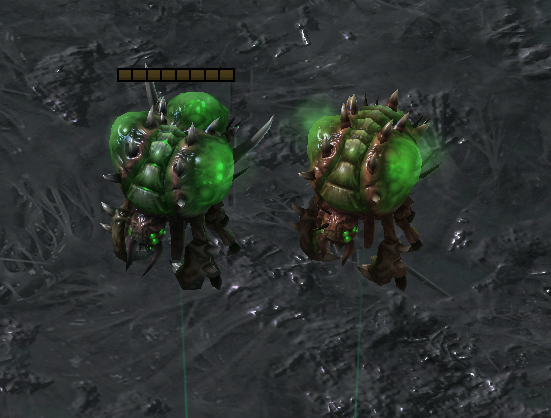 On the other hand Zerg has so many useful and fun new things that are also really strong at the moment. Sigh. wow - thats a great wrapup !!! precise and well written info. thanks. a suggestion - would it be possible to state the patch version and the last balance update (link maybe) on the original post ? I bumped this thread because of old expansions: today upon playing for old time's sake WoL and HotS to see how game felt before I found out that instead of 24 harvesters per base you need (worker count show bug maybe? 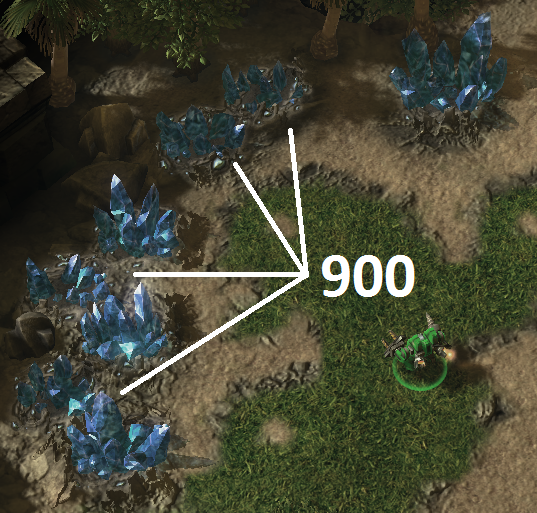 showing LotV count?) 16, 2 for each patch not 3. Doesn't this change destroy original experience? Why they left everything like it was - mineral fields, upgrades, etc. but changed efficiency of worker per patch? What's the point of having select menu of old expansions if it isn't same as they used to be? HotS just like WoL ended already so why they patched them? I think no one cares about past but Blizzard accidentally implemented LotV economy thing to old expansions. Also sometimes I still see outdated tooltip where it says 3 workers are needed for saturation mining, not 2. I don't know what else changed, I hope they didn't touch game speed. I will be glad if someone will post about it on official forums. EDIT: Ah, my bad I'm so noob, didn't pay attention to "Does not change the actual mining behavior of workers". Blizz improved those stats a lot then. Any chance getting this updated with the latest changes?